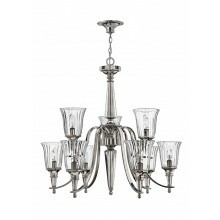 This three light chandelier is unique and interesting in its design, but has a classic look that will fit well with many traditional styles of decorating. 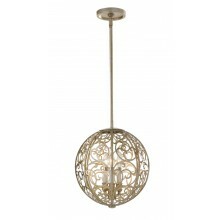 It consists of a simple ceiling mount and hanging chain attached to the fixture itself, a three-armed piece in silver and gold. 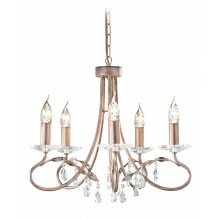 Each of the three metal arms is curved and looped in an elegant and relaxed style, and each one holds a single candle style lamp with a maximum wattage of 60w. 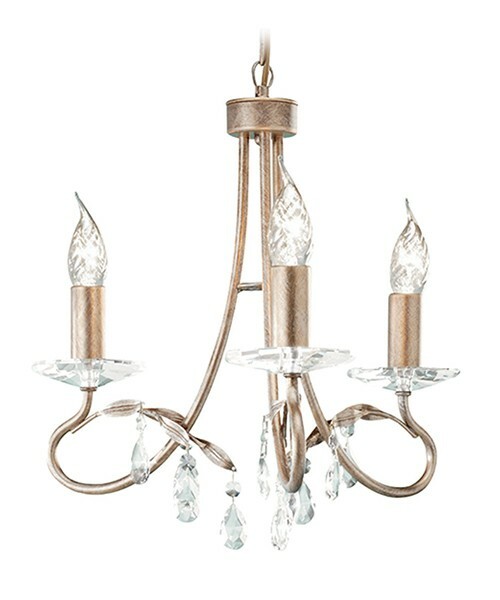 In addition to the candle style lights, this fixture also features a slight floral motif in its detail work, as well as hanging glass pendants for a shimmering effect. 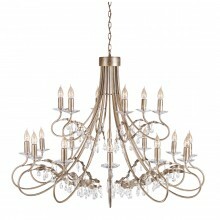 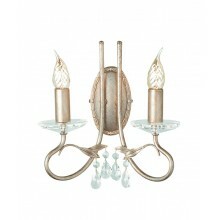 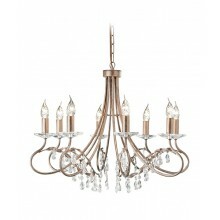 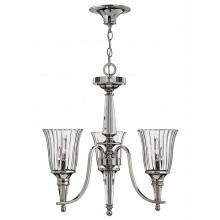 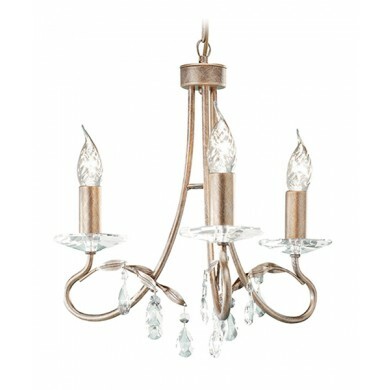 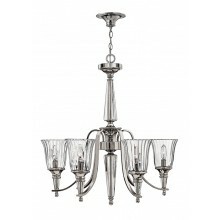 This chandelier is sure to impress in any dining area, living room, or entryway.